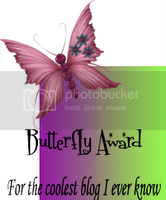 Posted on December 22nd, 2009 by roxxyroller in Giveaways Canada. One word for this site called Israel Bless­ing — OUTSTANDING! I stum­bled upon Israel Bless­ing on the inter­net awhile back, and after view­ing all of the stun­ning jew­elry col­lec­tions, I had to ask them for a review at Cool­Canucks as to which they so gen­er­ously agreed!! I was ecstatic! As soon as my spe­cially made neck­lace arrived at my doorstep, I tore right into it and was over­whelmed on how beau­ti­ful my neck­lace really was!! I knew it was bound to be pretty, but it is beyond pretty, it is GORGEOUS!! They made a neck­lace espe­cially for me with my name on it — “Heather”! It is sil­ver, on a ster­ling sil­ver 16″ chain. My mother could not get over how fab­u­lous this neck­lace is! I went out with some friends for din­ner the other night, and wore it. I cer­tainly got a ton of com­pli­ments from my friends as well! IT IS THAT STUNNING!! Aren’t the items just amaz­ing in the pic­tures?? Just wait until you see them up close!! Israel Bless­ing sells a HUGE col­lec­tion of jew­elry! Whether you are look­ing for rings, neck­laces, ban­gles or what­ever, they are bound to have it! Their prices are extremely low also for the high qual­ity of jew­elry that they carry!! “IsraelBlessing.com, estab­lished in 2006, spe­cial­izes in pro­vid­ing our cus­tomers with top-quality Israeli made jewelry. We are ded­i­cated to pro­vid­ing you with the finest qual­ity prod­ucts at the best prices, while giv­ing you a unique oppor­tu­nity to sup­port Israeli busi­nesses and artists. All our prod­ucts are hand­made at a Jew­ish work­shop in Jerusalem. Our prime loca­tion in the heart of Israel enables us to offer you the lat­est line of prod­ucts and jew­elry col­lec­tions at the low­est prices available. We are com­mit­ted to pro­vid­ing you with first-class ser­vice in a secure online environment. Just give them any name, and they will make you a delight­ful neck­lace just like mine!! Want it in gold instead? Just ask them and you shall receive!! Israel Bless­ing even car­ries wed­ding rings, a huge Mother’s Day col­lec­tion, and jew­elry for kids!! Don’t for­get to ask them to per­son­al­ize your pur­chases if you are giv­ing them as gifts! You can even get them to add your birthstones! I am overly impressed with all of the jew­elry that Israel Bless­ing car­ries, and rec­om­mend them to any­one! I will be cer­tain to pur­chase from them in the future from them again, in a heartbeat!! 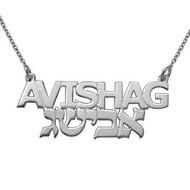 The very kind and gen­er­ous folks over at Israel Bless­ing wants to give 1 lucky Cool­Canucks reader the chance to win an extremely fan­tas­tic neck­lace just like the one that sent me, but with your choice of name on it in either a 14, 16 or 18″ chain!! Be excited, because the lucky win­ner will be so happy with it! 1) Head on over to Israel Bless­ing and tell me in a com­ment which piece of their beau­ti­ful jew­elry that you would love to own! Pur­chase any­thing from Israel Bless­ing for the dura­tion of the give­away and get 10 extra entries!! Just tell me in a comment! A HUGE thank you to Israel Bless­ing for spon­sor­ing us with this GREAT Con­test here at CoolCanucks!! I would like the moth­ers neck­lace: A Mother’s Jew­elry — Per­son­al­ized Sil­ver Disc Neck­lace With Birth­stones. I sub­scribe via email. I fol­low Cool­Canucks via Google friend connect. I would love to own the Car­rie Style Dou­ble thick 14K white gold Name Necklace. 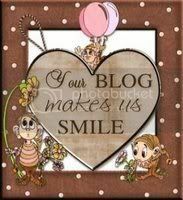 I sub­scribe to this blog via email. I like the sparkling dia­mond cut ster­ling sil­ver Car­rie style name necklace. I sub­scribe via email using this email address. I fol­low via goolge friend con­nect as 409cope. I like the 14k Yel­low Gold Cou­ples Hearts Pen­dant the most. I love the Sil­ver Name Necklace ! I love the ver­ti­cal “Car­rie” style Sil­ver Name Neck­lace! 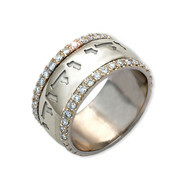 Oooh…I LOVE the 14K White Gold Com­fort Fit Inside Engraved Ring!! Gor­geous! I fol­low on Google Con­nect. Luv the Ele­gant Dia­mond and 14k White Gold Name Necklace! Im sub­scribed by email and fol­low­ing thru google con­nect also. My favorite thing there is Sil­ver & Sparkling 14k Gold Hebrew Wed­ding Ring. I’d love to have the Sil­ver Cou­ples Hearts pen­dant. I also fol­low via google friend connect. I’d love a sil­ver “Coca Cola” Font Style Name Neck­lace! I love their Ster­ling Sil­ver Com­fort Fit Wed­ding Bands. I fol­low on Google Friend (jentam777 AT gmail DOT com) and sub­scribe by email. I’m a sub­scriber and fol­lower, I love the 14k White Gold Com­fort Fit Inside Engraved Ring, thanks! Car­rie Style Dou­ble thick 14K white gold Name Necklace. I’m a fol­lower and sub­scriber. 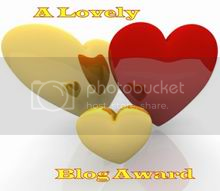 I love the Solid Ster­ling Sil­ver Heart Name Neck­lace. Thank you! I have a neck­lace… would love to have a ring or another necklace! I would love to own the 18k Gold-Plated Sil­ver “Car­rie” Style Name Necklace. I woud like the 1 Carat Dia­monds and 14k White Gold Name Neck­lace. I am a sub­scr­ber and a follower. The Engraved Dia­mond Ring looks very nice! 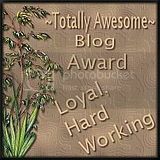 I fol­low your blog. I sub­scribed with the email address lilyk@mail2world.com.